The San Diego sports scene is on the mend. UC San Diego is in the process of becoming a Division I school for athletics. San Diego State University has become more and more relevant over the last decade in both basketball and football. But most importantly the San Diego Padres, the local MLB team and the one major sports franchise remaining in the city, have now signed the two biggest free-agents in back-to-back off-seasons. On Tuesday, Feb. 20 the Padres signed free-agent infielder Manny Machado to a 10-year, $300 million contract, the largest free-agent contract in MLB history and by far the largest contract in Padres’ franchise history. Last off-season, the Padres signed first baseman Eric Hosmer to an 8-year, $144 million deal, which at the time was the largest contract in franchise history. Fans and players alike are excited for what is in store for the sport’s future of San Diego. This isn’t the first time the Padres have made a splash in the offseason. In 2015, the team and general manager AJ Preller brought in established stars like Craig Kimbrel and Justin Upton to try and pull the franchise out of irrelevancy. Both produced well for their new team, but both were dealt away at the end of the 2015 campaign, a season in which the Padres won just 74 games, good for just fourth place in the National League West and nowhere near a playoff berth. But now, with the signings of Eric Hosmer in 2017 and Manny Machado in 2018, the Padres have committed hundreds of millions of dollars to the team spread over the next decade. This can only mean one thing: San Diego is back as a baseball town. If you’re having a hard time remembering when the Padres were last relevant, it’s probably because most of you reading this weren’t even born yet, or if you were, you definitely weren’t a baseball fan with a fully constructed long term memory. The last time the Padres made the playoffs was way back in 2006, and the last time the Padres had a truly transcendent star was when the homegrown Tony Gwynn graced the field. Gwynn was a consensus first ballot Hall of Famer. One of the best pure hitters of his time, he put the team and the city on his shoulders during the ‘90s. Gwynn nearly brought the Padres a World Series title in 1998, when the small-town Padres went toe-to-toe with the New York Yankees, the most powerful franchise in American sports, ultimately being swept in four games. Now I’m not saying Machado is anything like Gwynn. He’s not known to be a fan-favorite for one. And he’s not known to have a lot of heart or hustle. But he’s a young superstar who should have untapped potential and untapped maturity left to draw on. And Gwynn was the last Padre player to be signed to a top-3 largest contract in the MLB when he signed his 3-year, $12.25 million extension back in 1991. The 26-year-old Machado has the potential to lead the Padres to places only Gwynn had the ability to do. Machado has already been the face of a franchise before during his first few MLB seasons with the Baltimore Orioles. While he struggled with maturity, his performance rarely faltered and thus, he has signed the largest free agent contract in MLB history. Even if you’re not a Padres fan or even a sports fan, you may be wondering what this means for you. How could signing one player make my life within my city any different? But the signing of Manny Machado is not an isolated event. It is not just the spending of hundreds of millions of dollars. It has the potential to bring national attention to the city best known in the sports world for losing professional sports franchises, most recently the San Diego Chargers. Over the course of the Padres’ franchise history in San Diego, beginning in 1969, the biggest factors that have led to attendance spikes have been moving to a new stadium and making the playoffs. In the team’s first year at Petco Park in 2004, the current stadium, the attendance per game leaped up by about 11,000 fans per game from the 2003 marker of around 25,000 to 37,000 fans per game and the team won 23 more games than the year prior. Subsequently, payroll increased by about $10 million, from roughly $55 million to $63 million, according to Baseball Reference. The last time the Padres made the playoffs consistently, in 2005 and 2006, the team’s attendance per game remained above 30,000 for those two seasons, the season before and the season after. The franchise never reached 30,000 fans per game again until 2015. And yes, if you’ve been following along, 2015 was the last time the Padres’ payroll increased drastically, even though the win total was still relatively similar to years prior. The team spent around $76 million in 2014 and a whopping $125 million in 2015. In 2019, especially with the addition of Machado, the team will spend well over $100 million once again in what would be just the second time in franchise history and is projected to spend more than its record $125 million from 2015. What’s more is that Preller and the front office have said they may not be done making moves, not denying the rumor of being in talks with the other superstar free agent of this offseason, outfielder Bryce Harper. This will have an impact on you as a resident of San Diego. Even if you’re leaving in the next few years, as many UCSD students are, having a successful baseball team, or more generally a successful professional sports franchise, has economic and social impacts that are felt in many different industries. Bars and restaurants surrounding Petco Park in downtown San Diego will see more foot traffic and more patrons as the Padres become more and more competitive. As Padres gear begins to more readily fly off the shelves and more young fans are converted from “homers” into “lifers,” the city of San Diego and its more than 3 million residents will grow to embrace their last remaining major sports franchise. Beyond just the economic incentives are also social incentives. Not to get ahead of myself, but World Series parades and even playoff baseball itself leads to a community buzz and social gathering opportunities unheard of in cities with unsuccessful franchises. Sports bars will be filled with local fans, all watching Padres games and rooting in their local team. With a more successful team, city residents can feel more connected to one another, and less like the outlier and more entrenched within a network of excited fans. With each day that passes, Opening Day draws nearer. 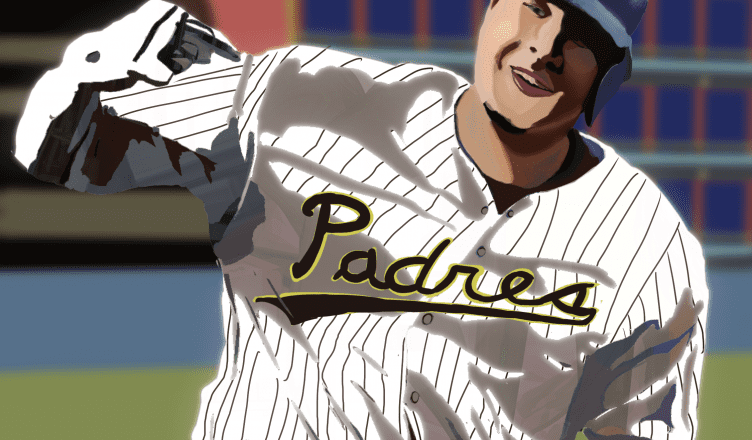 UCSD students and San Diego residents should be prepared to have a more competitive professional baseball team in their area than any that has been seen in the last decade, and for the economic and social windfall that could follow.